I have been involved in that conversation – the “what is creative, really?” debate – several times and in several places, with no real agreement among participants. I, personally, never really considered myself a creative person. As far as I was concerned, buying a knitting pattern and finding a skein of yarn to knit it with….not really all that creative. Many people respectfully disagreed, for the record. To me, creative requires vision, and imagination…and I really wasn’t sure I had either, to be honest. Lately, things have been different. I am finding myself interested in, well, creating. 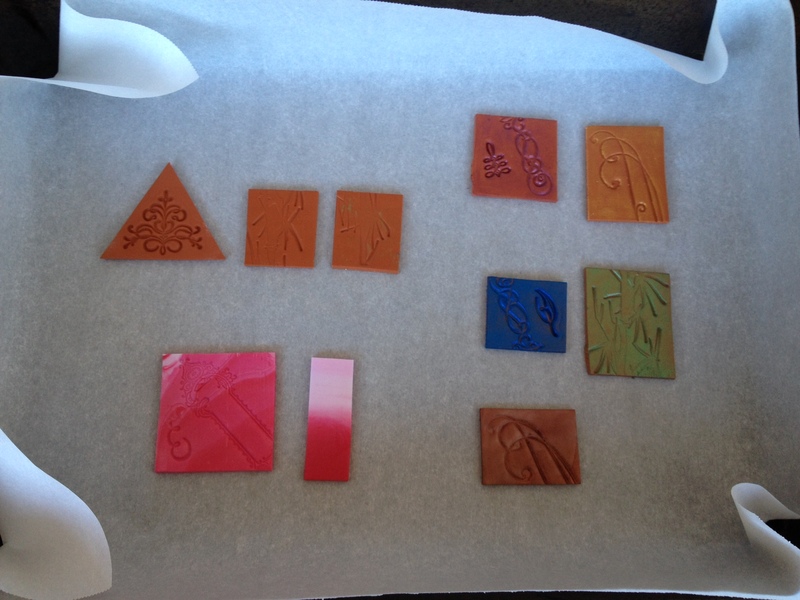 Shireen taught me some polymer clay fundamentals a few weeks back, while her hubby Tito was showing me some copper metal work. 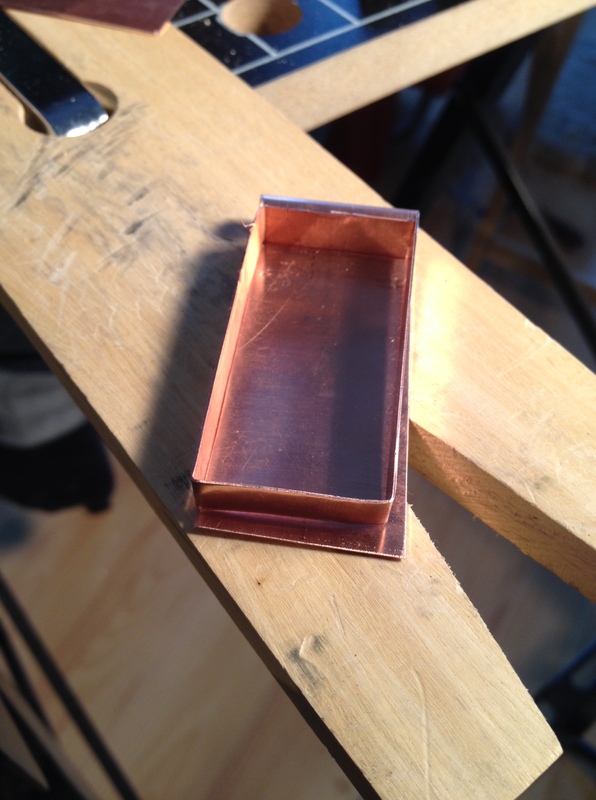 The makings of a copper bezel for a clay and resin insert. I still need to play around with my copper wire and anvil to start making the shawl pins that started all of this! I am super excited! Tonight, I pick up a loom from someone here in Toronto who is destashing hers and hope to get a warping lesson from Shireen ASAP. Still not sure where all of this is coming from, but I think I should enjoy it and take advantage of it while I can. This entry was posted in Uncategorized and tagged clay, copper, designing, metalwork, polymer clay, shireen, tito by Rayna. Bookmark the permalink.